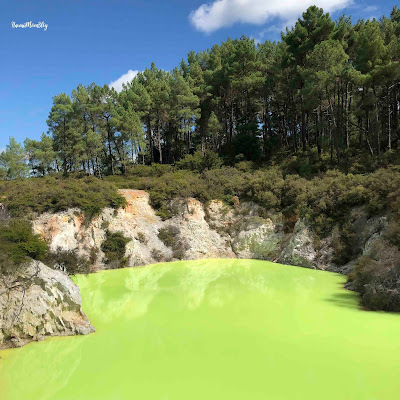 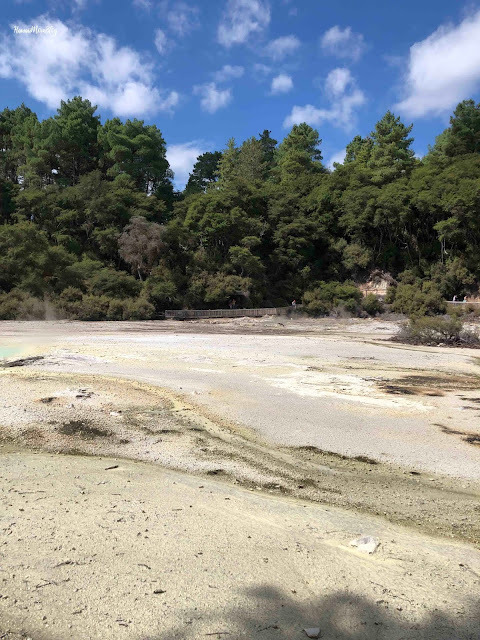 Wai-O-Tapu Thermal Wonderland is one of the most amazing places on earth that I have ever visited, and if you are in the Rotorua area, I highly recommend this attraction as a must-visit. 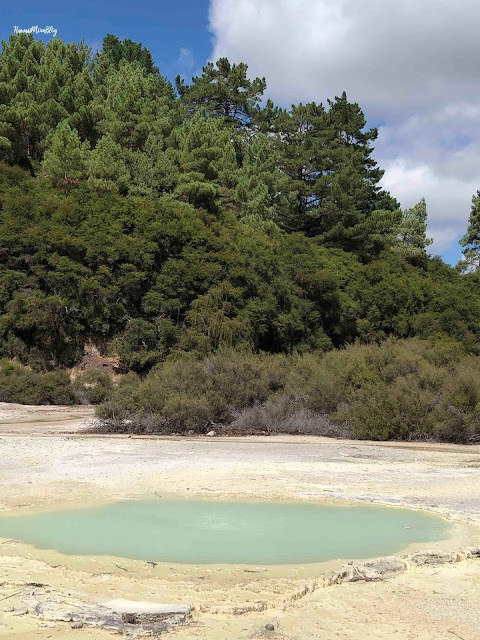 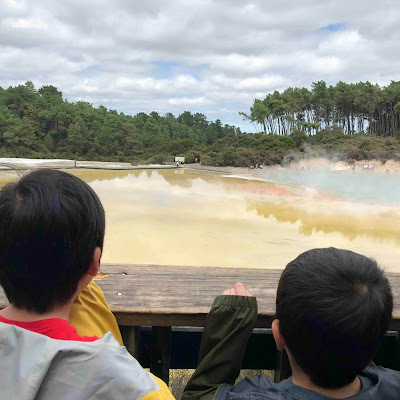 A result of thousands and thousands of years of volcanic activity, Wai-O-Tapu Thermal Wonderland's geothermal system extends over 18-square kilometers. 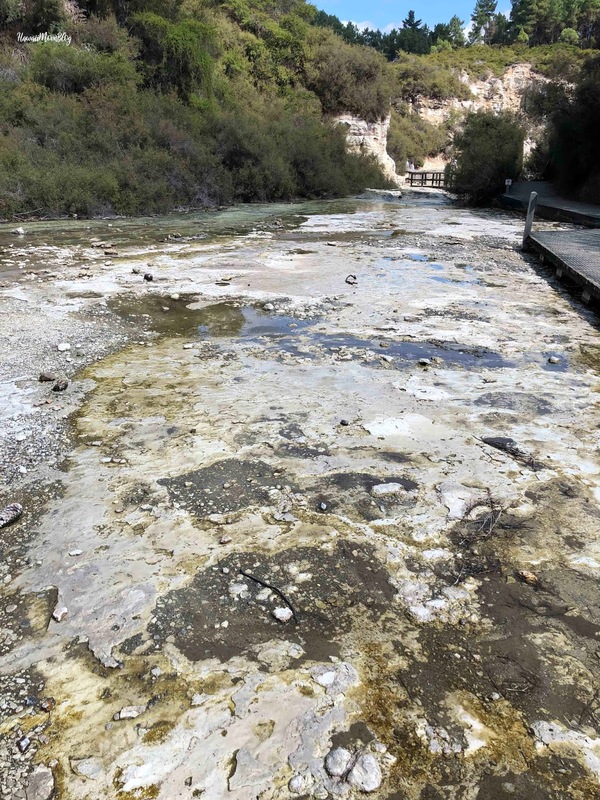 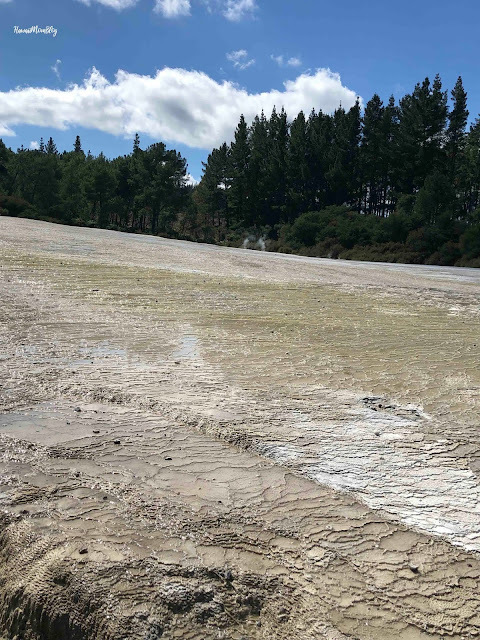 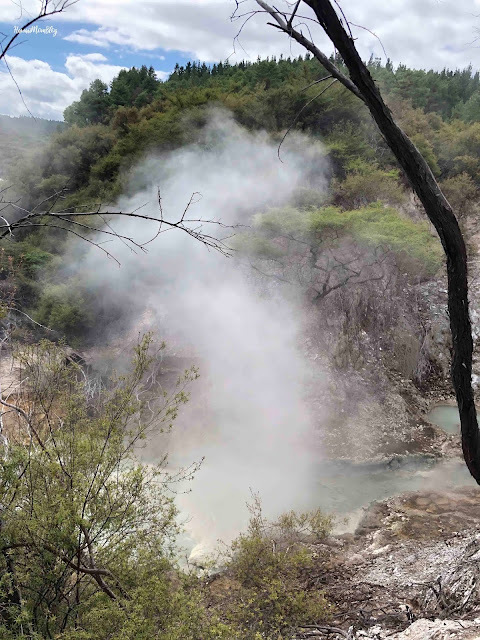 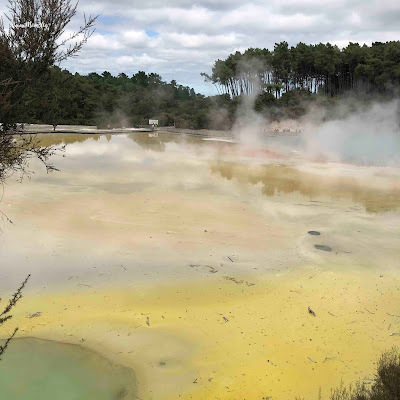 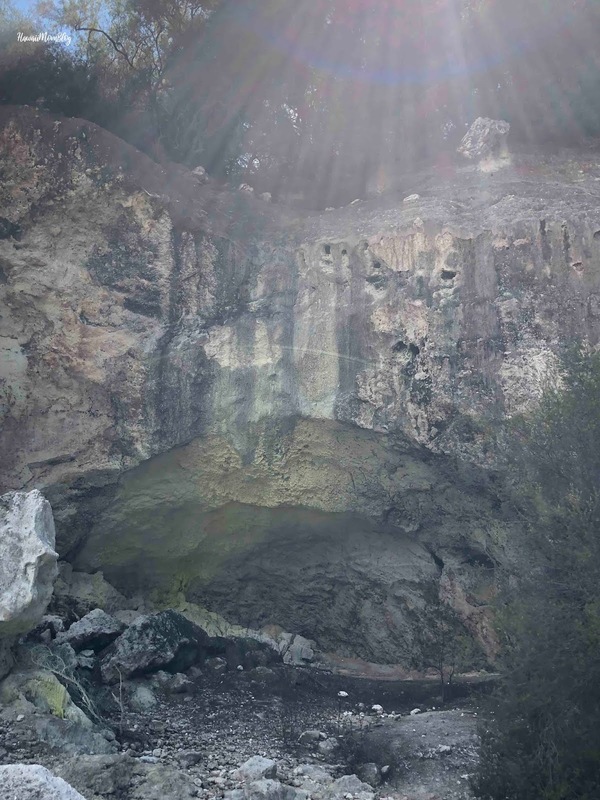 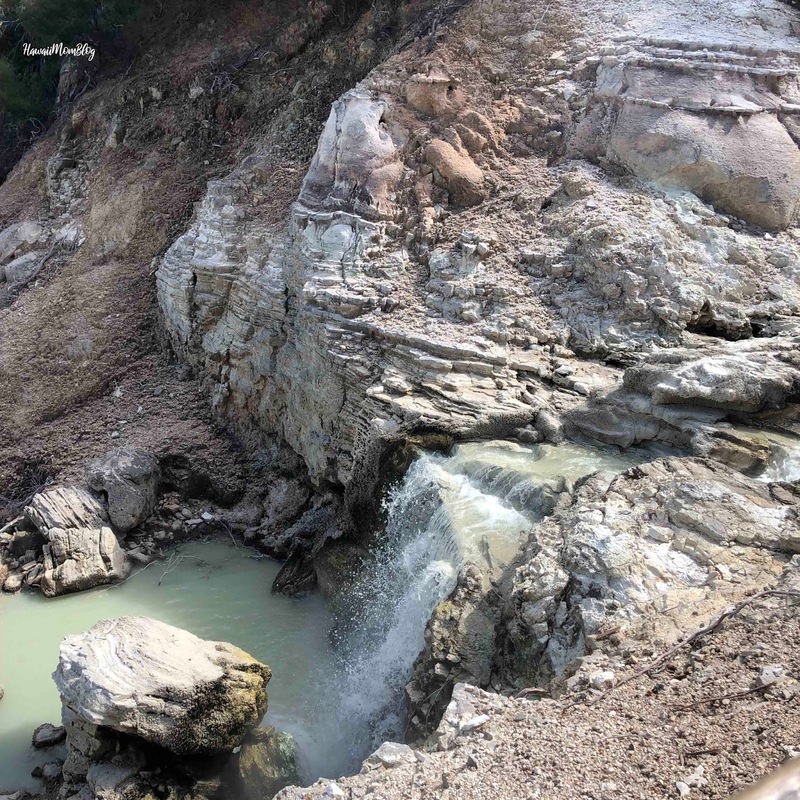 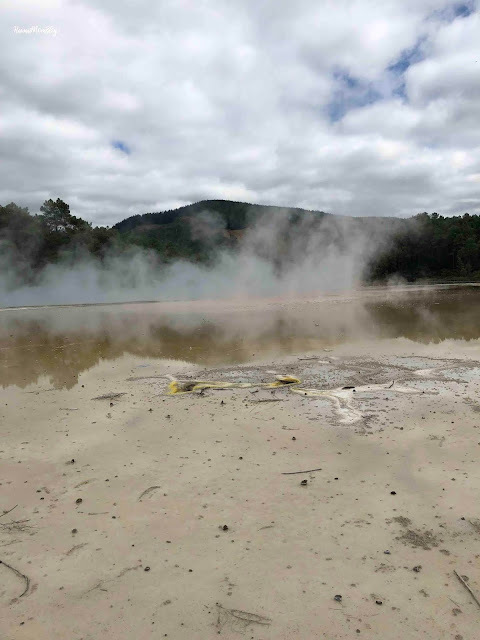 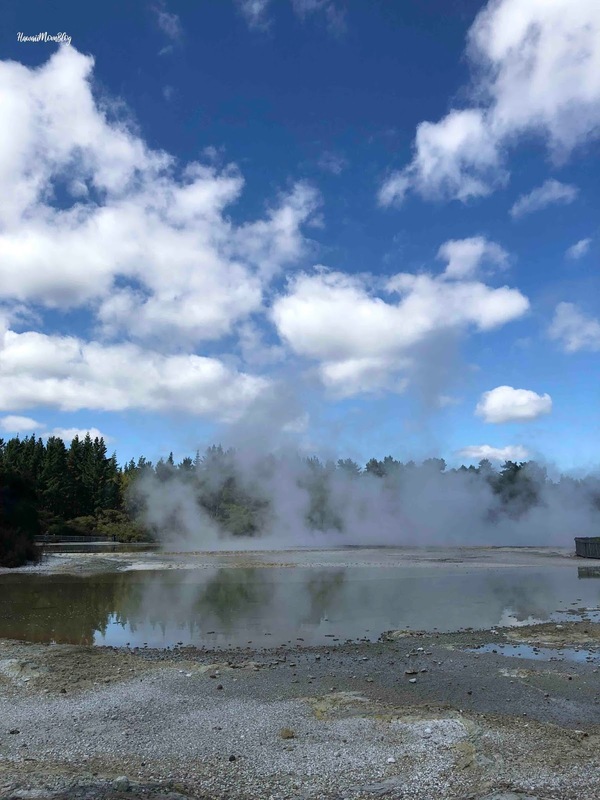 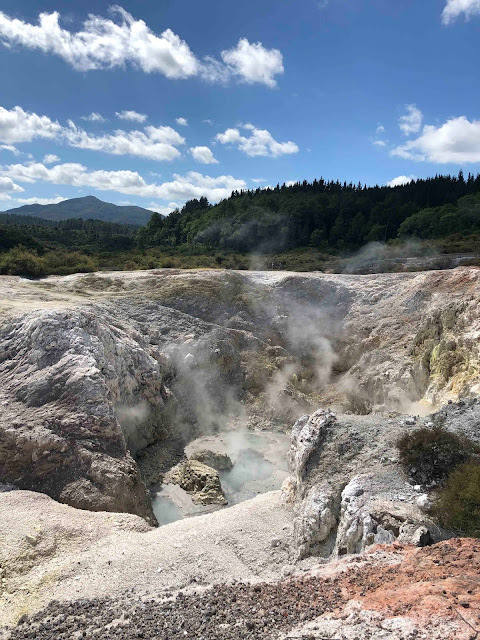 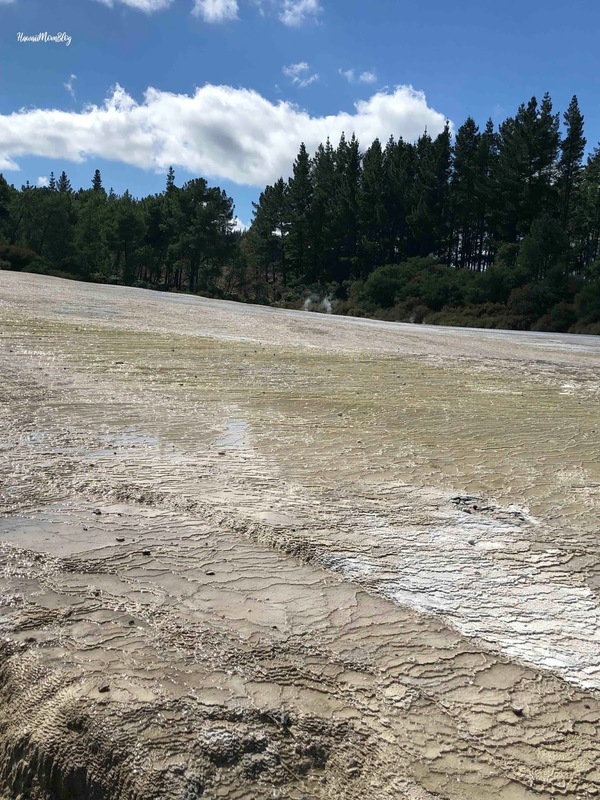 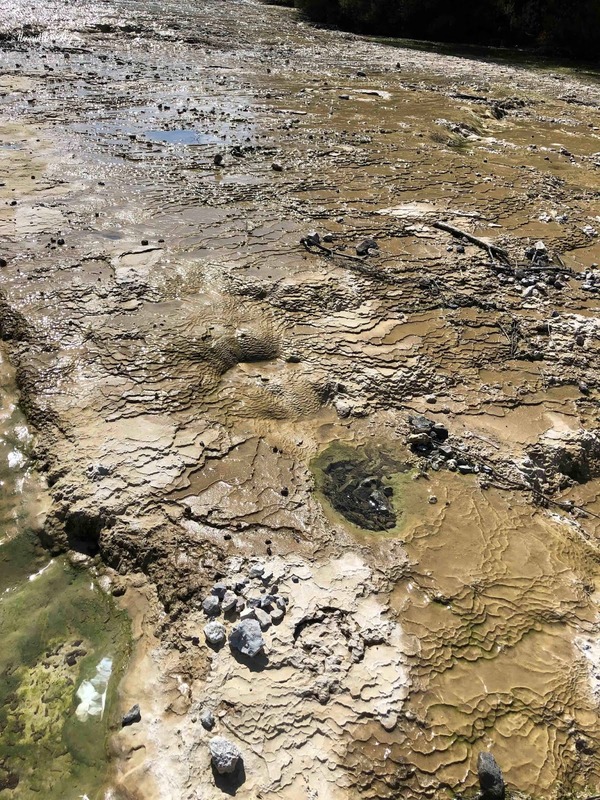 There are three main features of Wai-O-Tapu - the Lady Knox Geyser, which is presented at 10:15am daily, the Geothermal Park, and the Mud Pool. Our family visited the Geothermal Park, which can be done in three different walks: Walk 1 = 45 minutes; Walk 1 & 2 = 60 minutes; Walks 1, 2 & 3 = 90 minutes. Our family did all 3 walks in just under 90 minutes, including time to take photos. 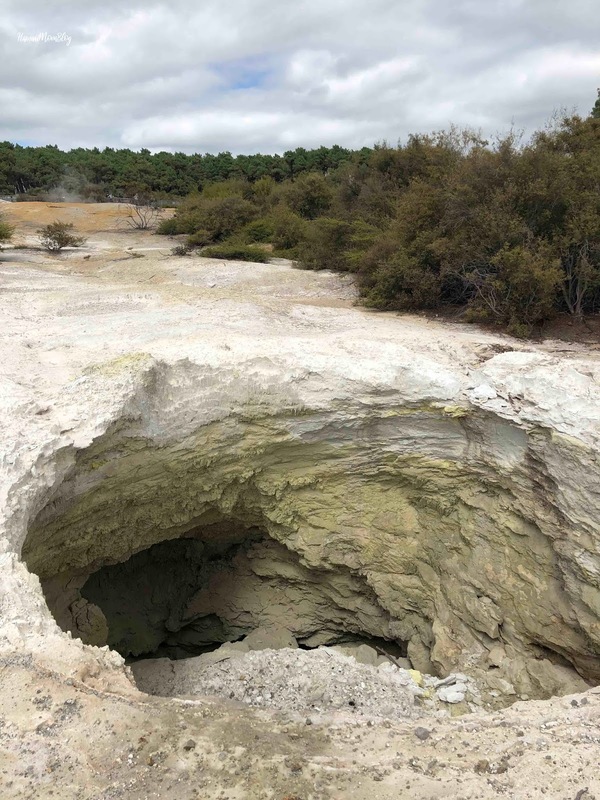 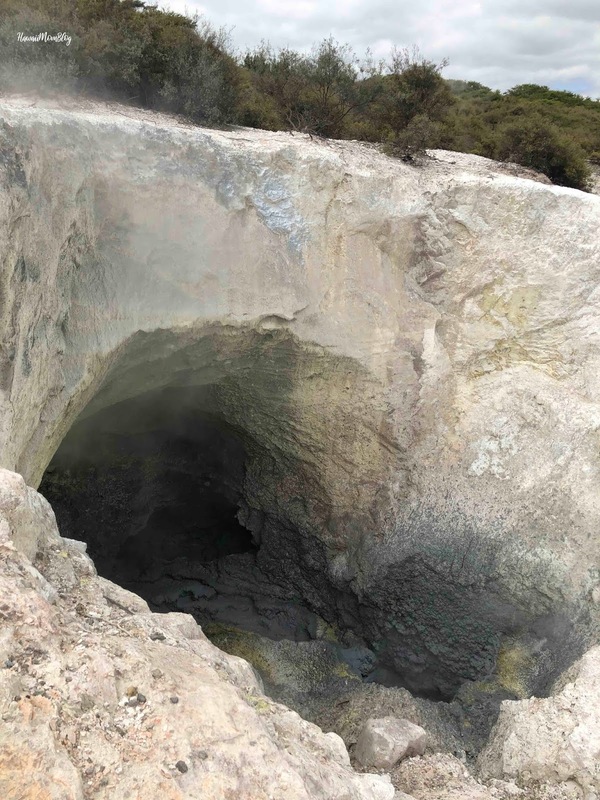 We saw numerous craters throughout Wai-O-Tapu, which were caused by acidic steam coming from underground, causing the ground to collapse. 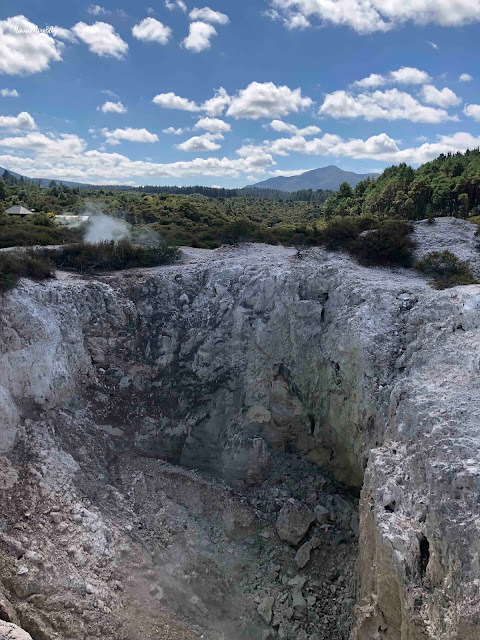 Different colors that blanket the craters are caused by oxidized minerals (purples - manganese oxide; red / brown - iron oxide; yellow - sulphur). We also encountered the Ipu, which was a mud pool consisting of unrefined crude oil. One of my favorite features of Wai-O-Tapu was the Champagne Pool, the largest hot spring in New Zealand. 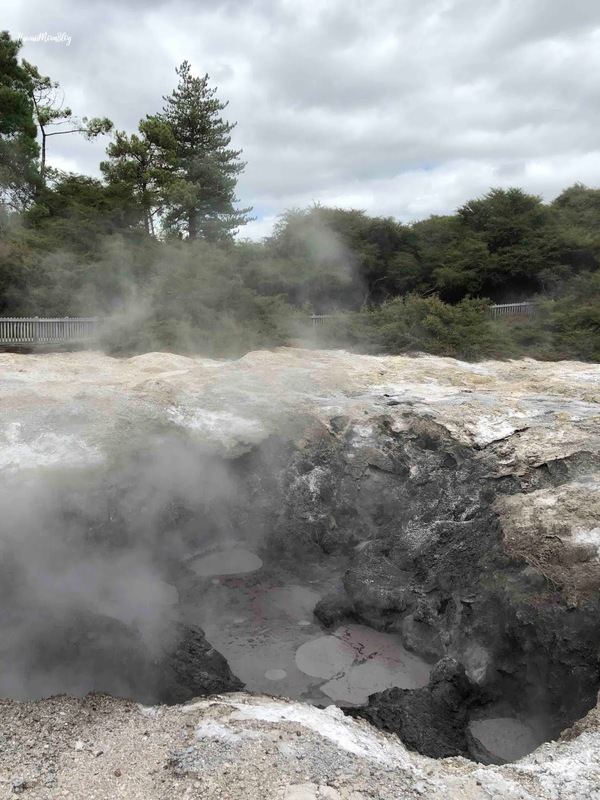 It gets its name from bubbles caused by carbon dioxide, which creates a Champagne-like effect. 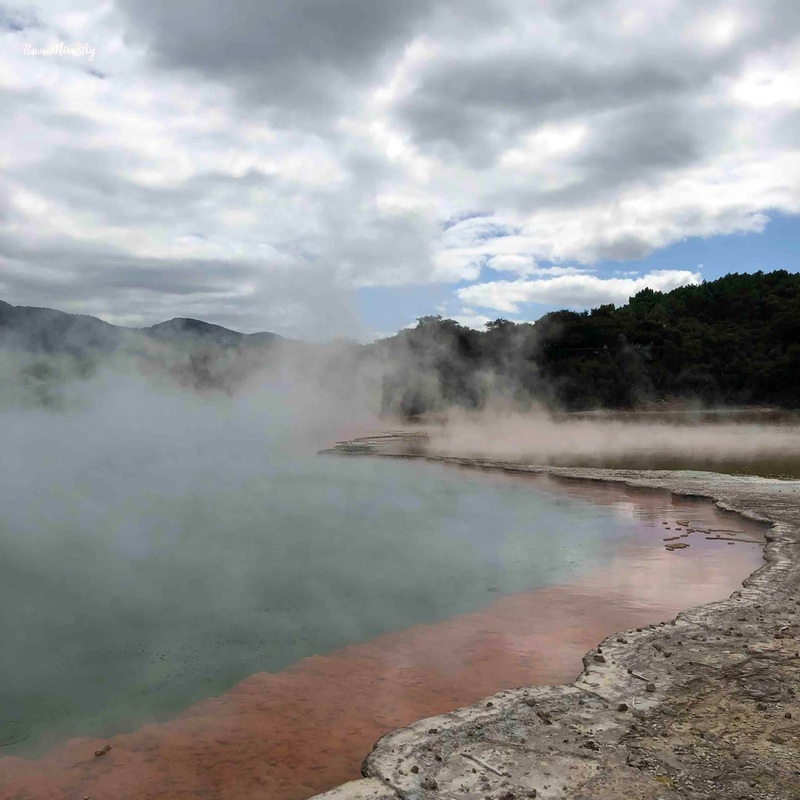 The colors that were created by nature were absolutely stunning, as was evident in the Artist's Palette. This ever-evolving area will change colors depending on sunlight, water level and wind direction. 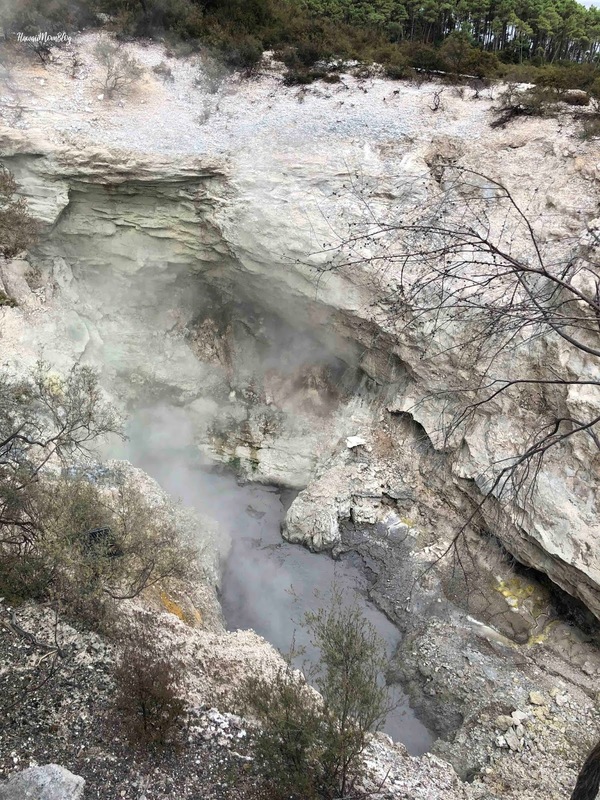 It's comprised of water that has overflown from the Champagne Pool, which brings with it minerals from far below the surface. As the waters cool and evaporate, colorful minerals are revealed. Even more unbelievable was the bright green Roto Karikitea. 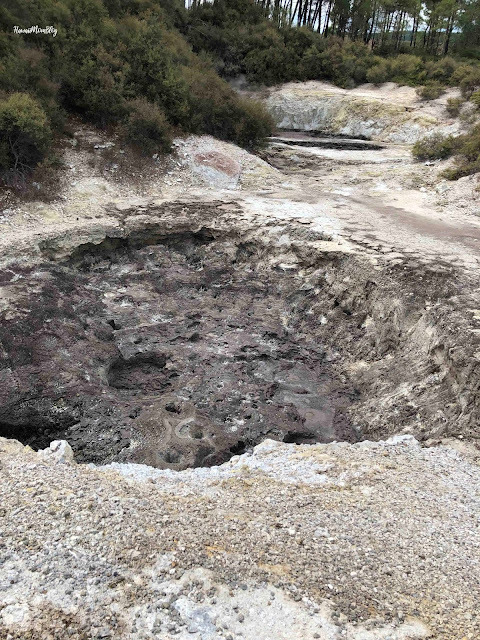 Like the Artist's Palette, this crater is filled with excess water from the Champagne Pool. 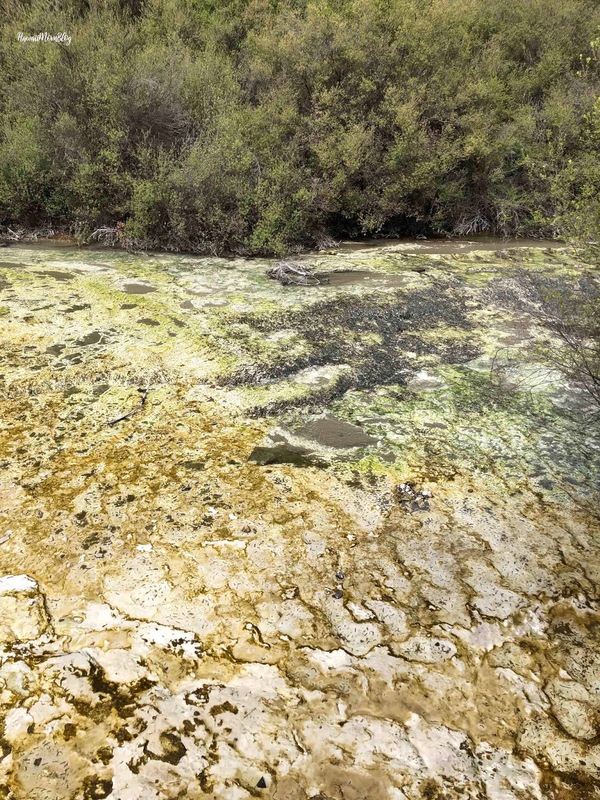 The vibrant color is a result of a deposit of minerals being suspended in the water and refracting sunlight. It is totally worth it to do all three walks, because at the third walk, you will be treated to one of the most spectacular views ever. 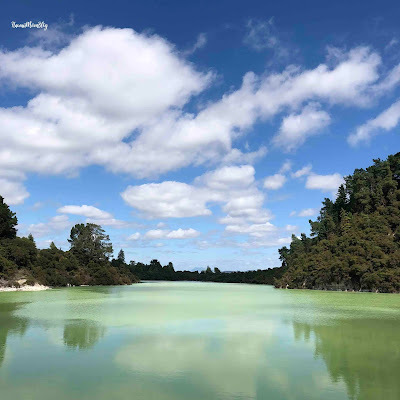 The stunning greens of Lake Ngakoro against the blue sky created a picture-perfect photo op. 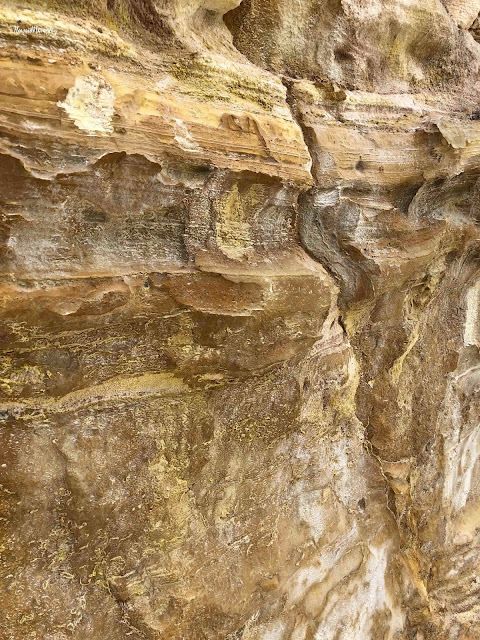 The different types of terrain, formations, and colors created by natural occurrences from below and above ground were simply incredible to see. 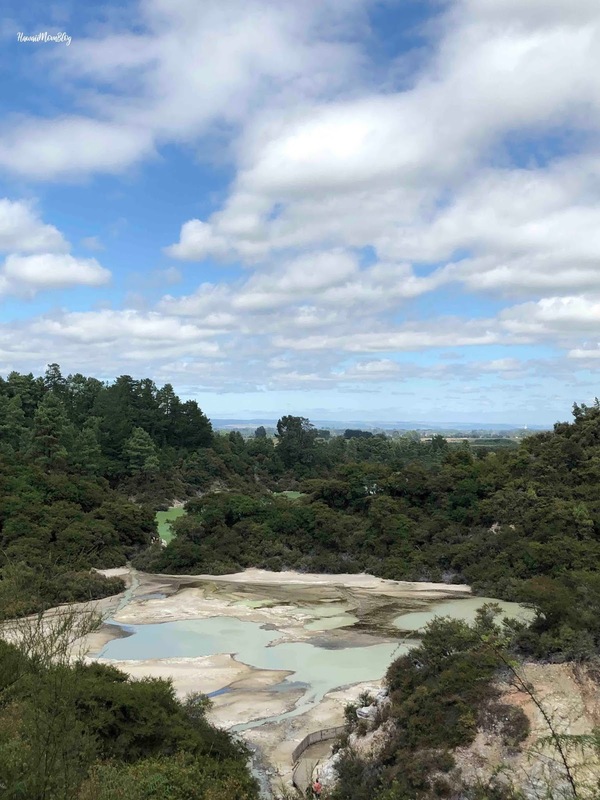 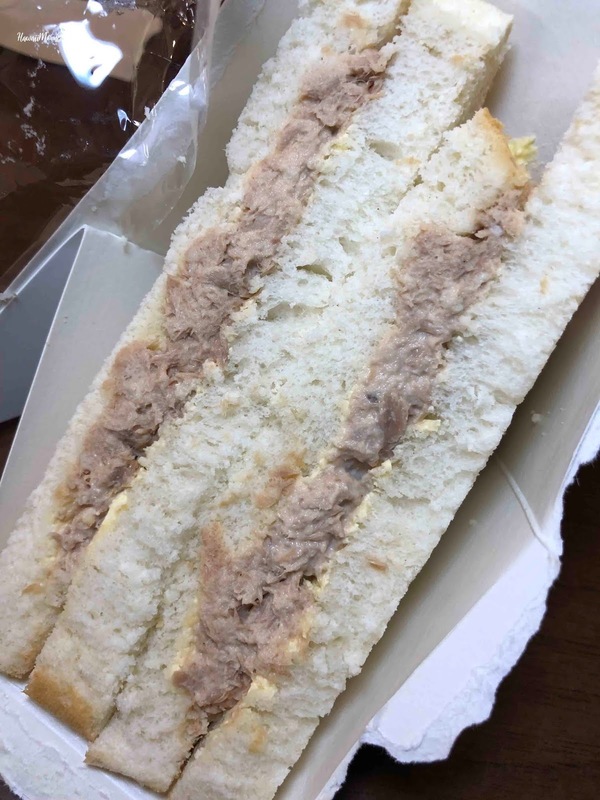 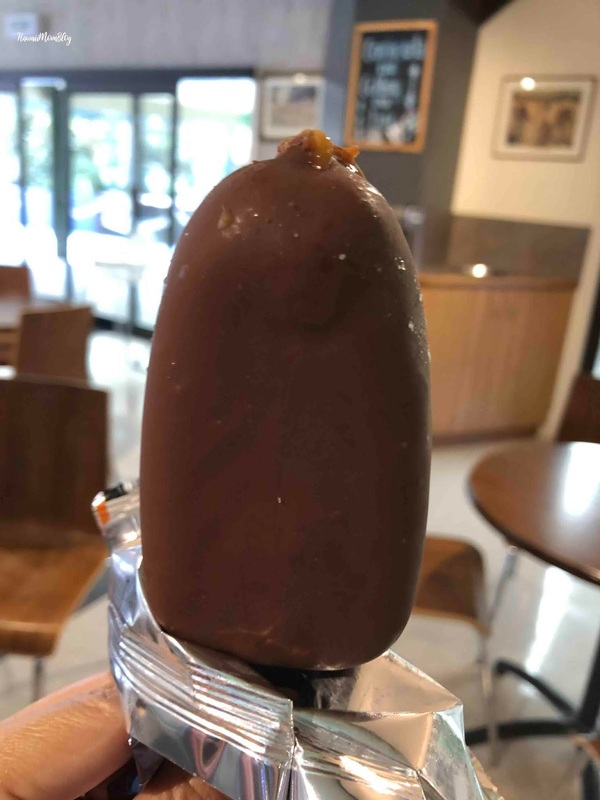 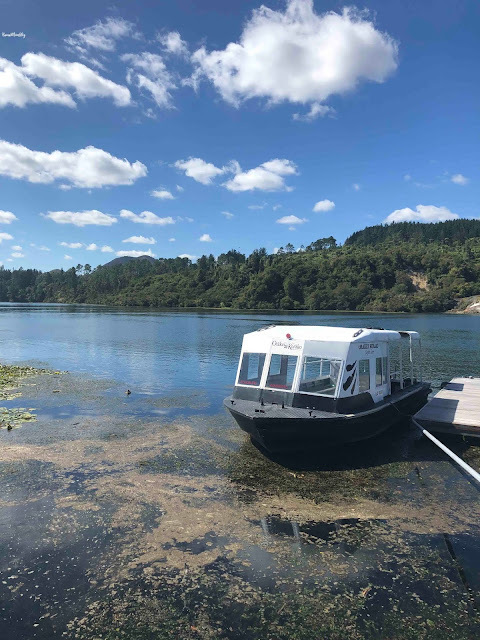 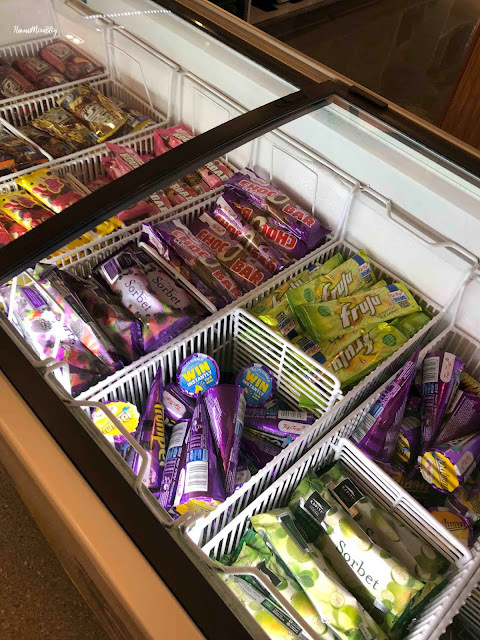 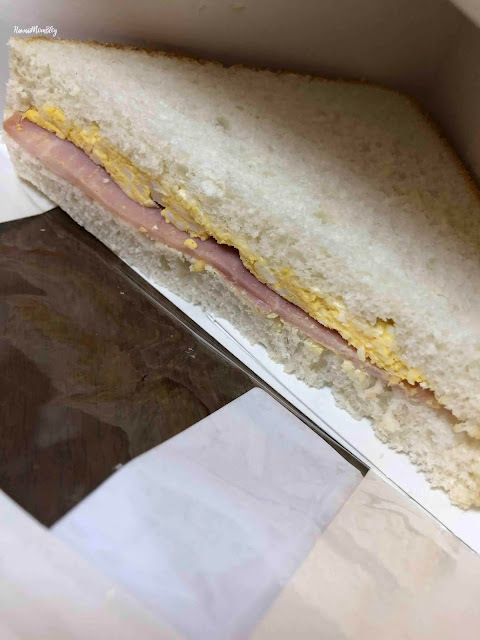 If you are hungry, like we were before and after the walk through Wai-O-Tapu, there is a convenient Cafe on site, where we ate grab-and-go sandwiches, as well as a Toastie. After the trek, we indulged in Tip Top ice cream! 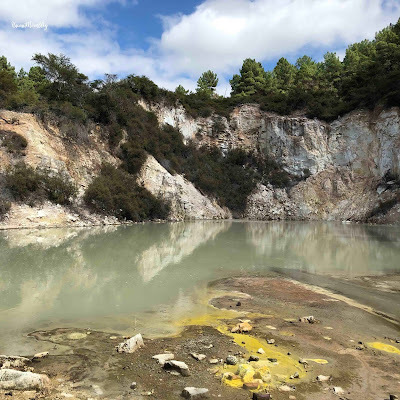 Wai-O-Tapu is definitely one of the most surreal places on Earth. Mahalo to the sponsor for the discounted tickets.